I have shuffle the deck and pull 3 cards, and bottom of the deck I have the Six of Wands is reversed. So the Six of Wands in reversed means defeat, lack of confidence, disappointing, feeling frustrated, as well as finding yourself doubting all of your abilities and potential to any kind of success. It also indicates that you may be lacking in self-esteem which is hampering your efforts to meet someone you can have a relationship with. First card or my situation I will read as the “people that I will be dealing with”. Here I have The Page of Cups. This card represents the meaning of an admirer, a caring attitude, new love, new offer, upcoming opportunity, romantic proposal, love letters or good news. It indicates that a romantic admirer is interested in you! That’s interesting, I wonder who is that person. 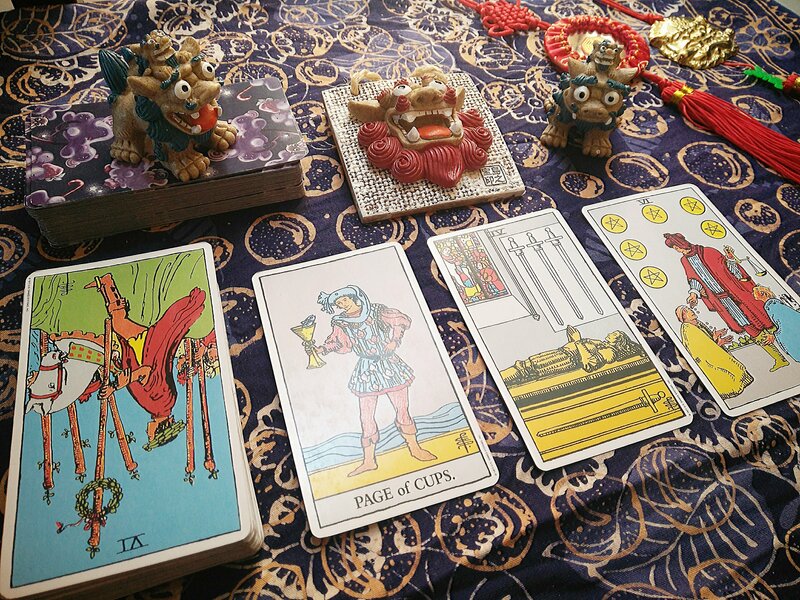 Second card or the position will be the present situation. Here I have the Four of Swords. This card means peace and relaxation. You need time and space for yourself. Need a break from a normal life. Do not allow fear about being single overwhelm you. If you jump into a relationship solely out of fear being single, it will not work out well for you. The right person often will come into our lives when we are not looking for them. The last card is the outcome of the situation. 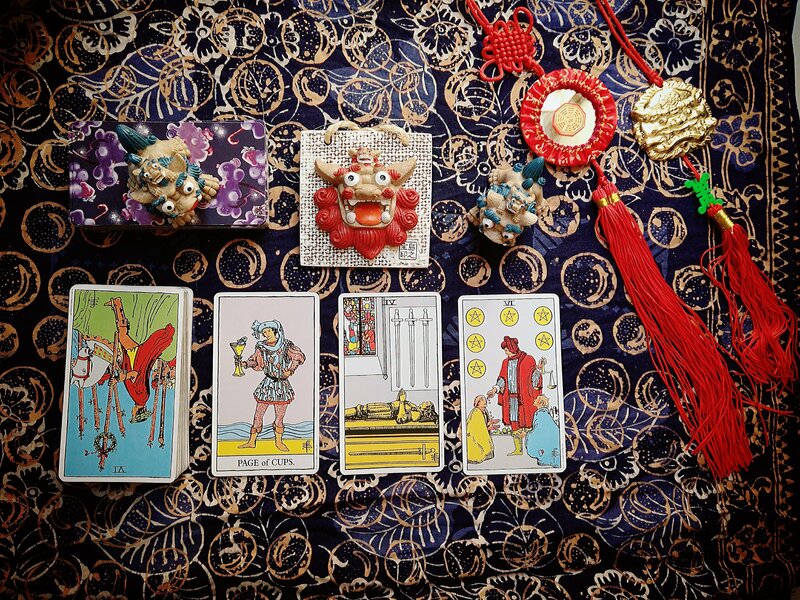 The last card is the Six of Pentacles. This card is about success in your life is bound up to generosity. The reward for hard work. It is also equality and fairness. Being single, it is also indicated that you will meet someone who is generous and kind towards you. So overall the reading, it’s kind of resonates with me in somewhere. But who is the mysterious person???? Previous Stuffed Taufu Pok Recipe that you must try!